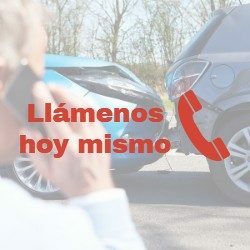 Abogados De Accidentes En Houston Texas? Some things are just inevitable, cannot be avoided nor stopped. It’s part of how we as humans, have to deal with as we all progress in our individual walks in life. And when such things happen, people would need a team that they can rely on and this is what we offer – abogados de accidentes en Houston TX. Why do I need a lawyer if I got into an accident? There are different things that one can get out of accidents, it could either be a great loss or less of it. Let’s face it, getting into accidents can be such a nasty and tedious experience especially to the party who comes off more as the victim compared to the other. While the goal of lawyers is to protect their clients and act as a representative for any legal causes and matters where the incident needs to be discussed and dealt with. This can be topped off with another agenda for a person who has been involved in an accident, and that is for lawyers to be able to a voice in the seeking of justice in an incident or a happening. What are the types of lawyers can I hire? To answer it simply, there is a vast range of lawyers in different specialties that one can run to in times of need. And here at Abogado Alejandro Padua, we make sure that our team will be able to provide you the right and most fitting person for your case or complaint. There are human rights attorneys, business attorneys, child attorneys and the like but ultimately, what we offer are accident attorneys. Accident attorneys are those people who you can hire to defend you in times of crisis such as accidents wherein you can opt to be compensated and reimbursed properly of the damages that were incurred by both you or your property. While the law governs such specific notions and parts when it comes to dealing with certain accidents, you won’t have to worry about falling short of the number of people and attorneys who you can work with in getting your case resolved. There are lawyers that mainly work on accidents that are based on transportation vehicles, there are lawyers that work on accidents incurred at work and then there are those lawyers who work on cases that have brought injury to a person in whichever way there is. Where can I get abogados de accidentes en Houston TX? Our team at Abogado Alejandro Padua dedicates in providing the best team of people a person can work with depending on the type of incident that they are dealing with. We take full responsibility and advantage on the trust that our clients give to us in helping them resolve their cases and accident issues whether the people we get to work with are directly or indirectly involved in the accident. We take pride in our company success and professionalism in all the projects that we have come to work on. This is what we aim to continue bringing forth in our future of working with our clients at Abogado Alejandro Padua.